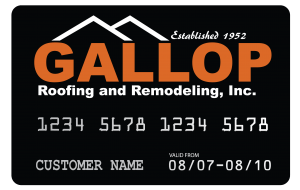 Referral Program | Gallop Roofing & Remodeling, Inc.
Gallop Roofing & Remodeling, Inc. is a locally owned and operated company that has been serving our region for over 60 years. In that time we have been fortunate to maintain relationships with customers who have used our services repeatedly and even referred us to their friends and family. Because customer referrals have been so instrumental in our success, we have developed a way to say ‘Thank You’ for those referrals. You submit a referral through our online form. We will contact the referral to schedule their Free Estimate. 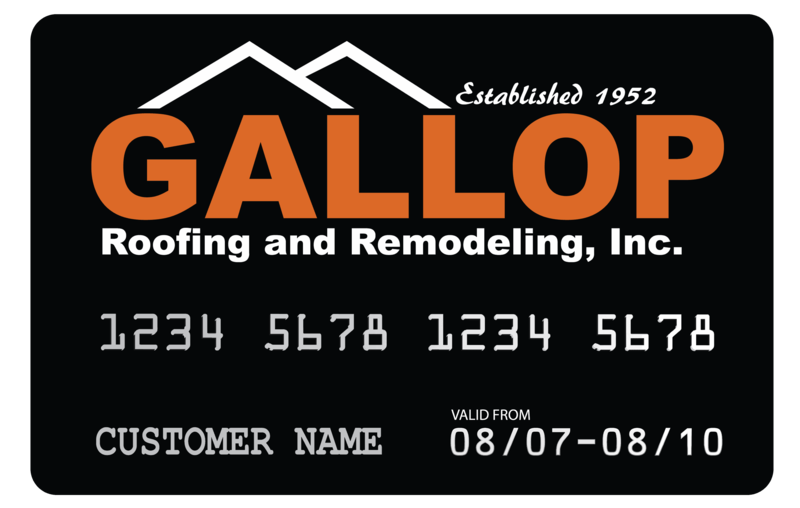 When your referral signs their proposal and their project is completed we will mail you a gift card. Which services are eligible for Referral? All of our services qualify for the Referral Program – roof replacements, roof repairs, gutters, windows and doors, siding and more. Do I have to be a previous customer to get the referral? You DO NOT have to be a previous customer to get the referral. Can I provide a referral by phone or in person? We prefer that you use our online form because we need the paper trail. As long as a proposal is signed and the work completed, the referral prize is yours. There is no limit to the number of referrals you provide.